To purchase, head to my TpT Store! 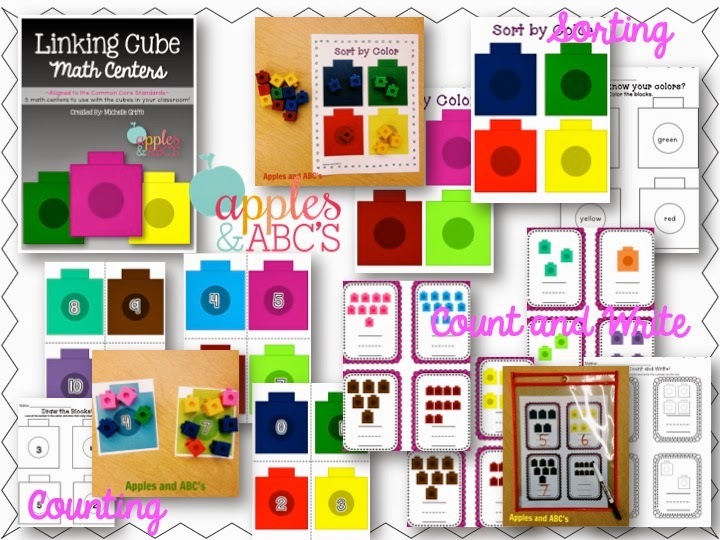 This is a fun activity to have the kids practice their counting. They grab a cube mat, look at the number, and count that many blocks. In the very first week of Kindergarten, colors and sorting are great areas to start teaching math. 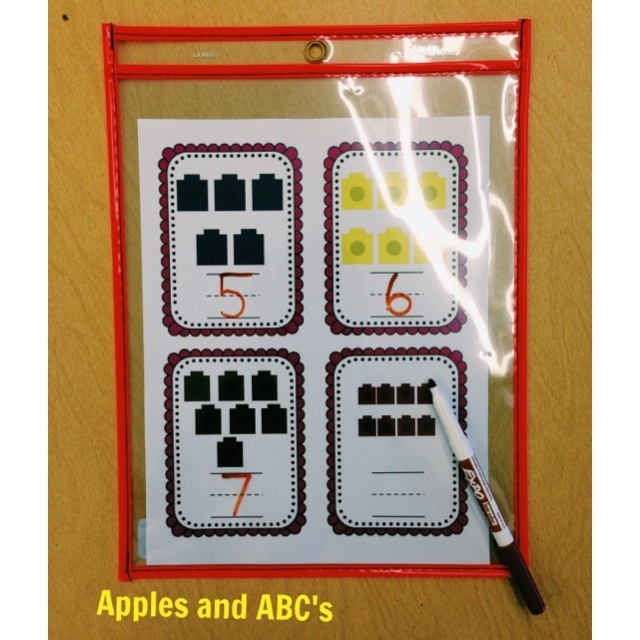 This is a hands on way to assess if the students know their colors AND if they know how to sort! Is it me, or does it seem like kids are obsessed with little clips and clothespins? Some of the kinders need help strengthening those fine motor skills, so I added a "Clip the Number" activity. 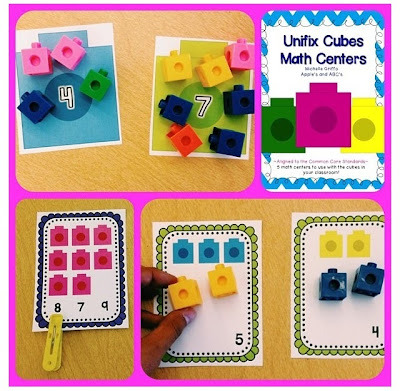 The students count the blocks on the card, and clip the number. 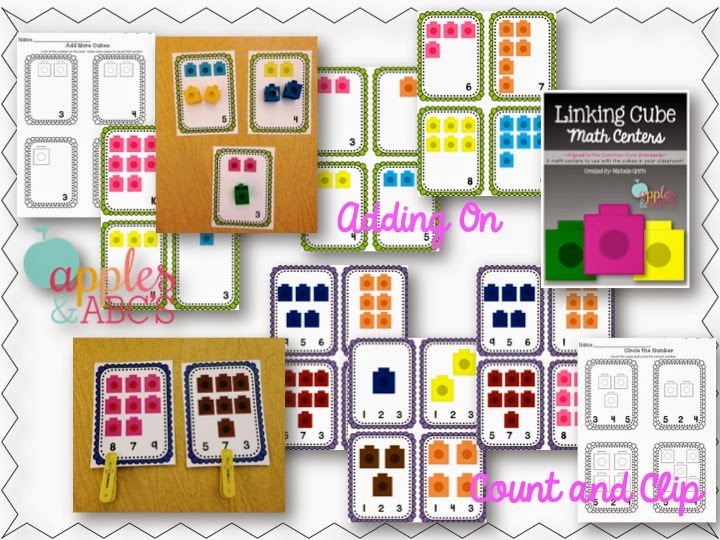 I made an "Adding On" activity for some of the advanced students. They look at the number on the card, and add more blocks to equal the number. This will be interesting for me to see who understands this concept, and who gets confused. To help practice writing numbers, this is an activity where they count the blocks on the sheet and write the number on the line. Each math center comes with a "recording sheet" to or printable to see if the students know how to do the math skill. 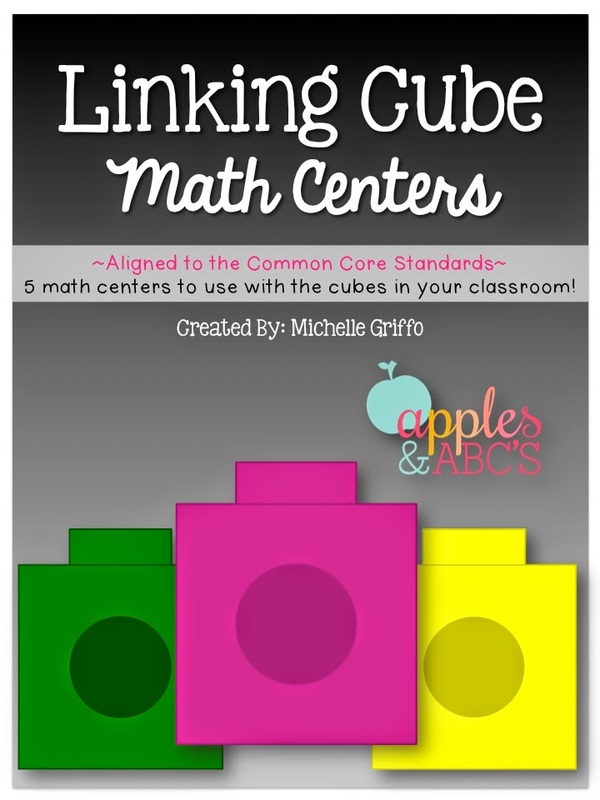 You can assign this for center work, independent practice, or homework! Looks great! I guess I will need to do some more shopping! I just bought this!!!! Love it!! I have a million cubes in my room!!! i most like this page.